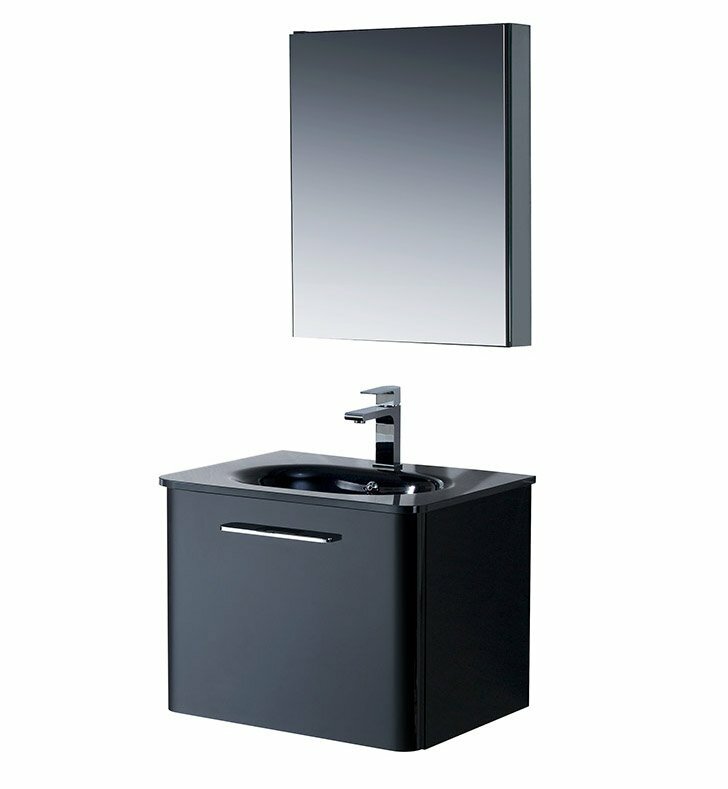 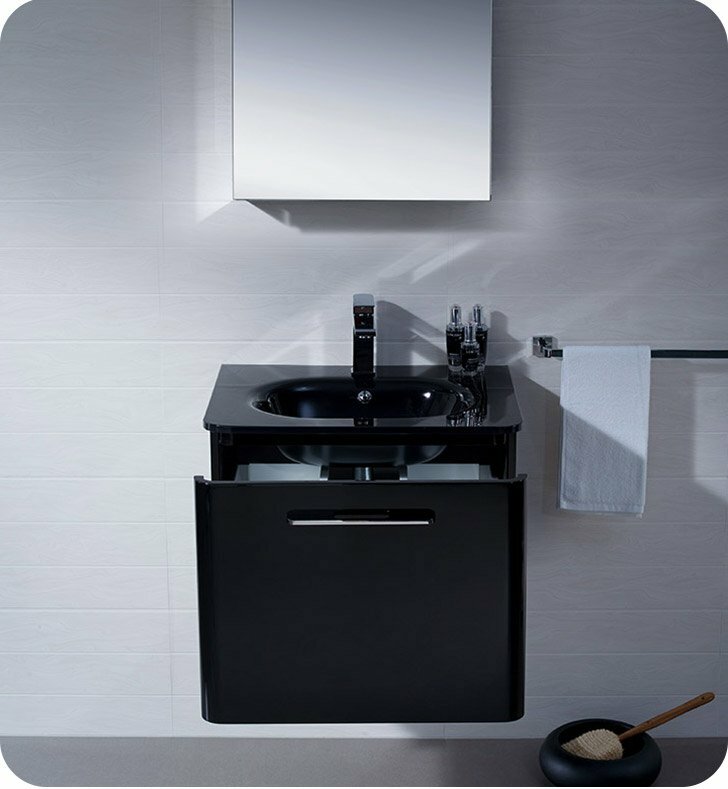 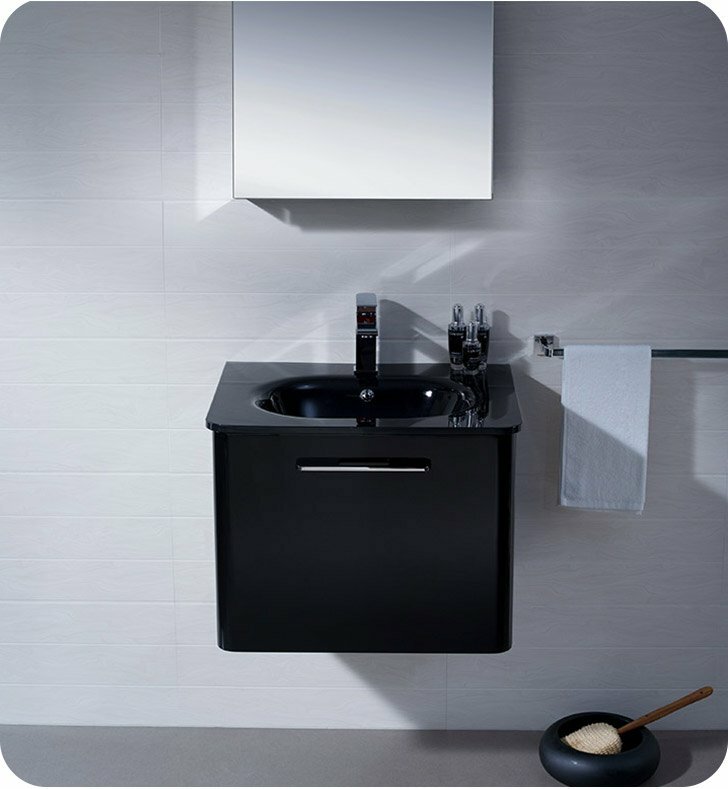 Add style and beauty to small powder rooms with this contemporary Fresca Brillante Decor Planet Exclusive Modern Bathroom Vanity. 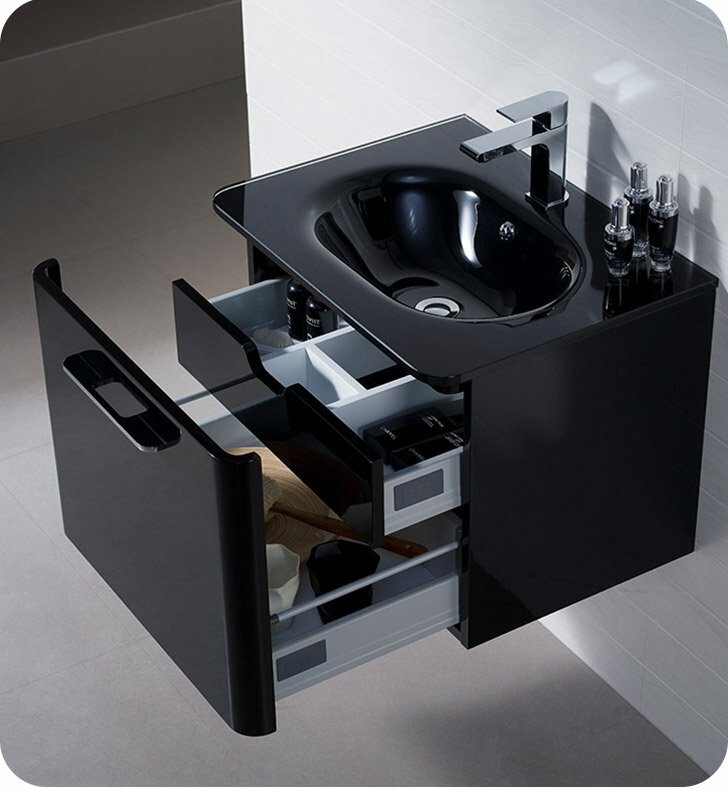 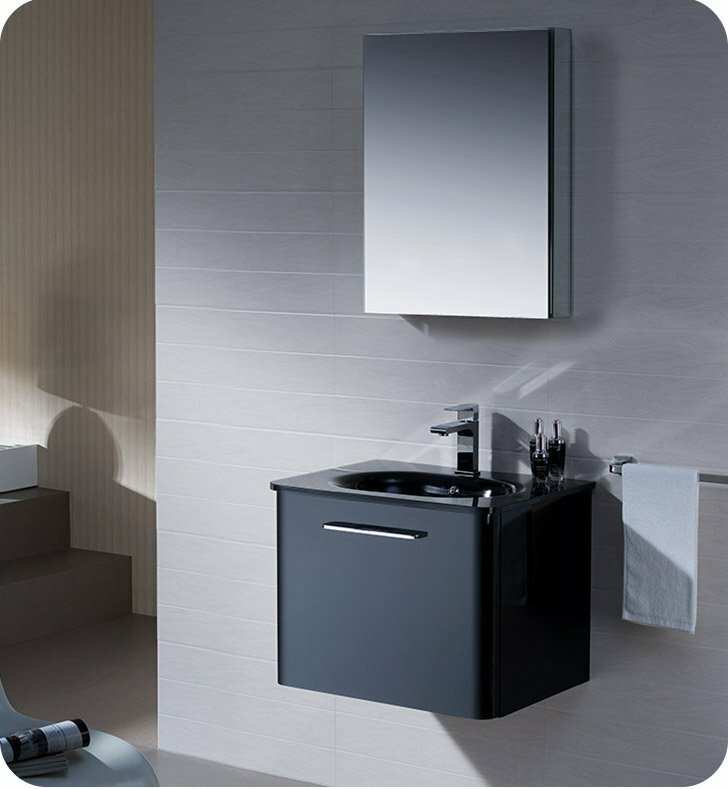 Measuring at W 23" x D 18 1/4" x H 18 3/8", this floating wall mount bathroom vanity saves valuable floor space and offer plenty of storage with two spacious drawers. 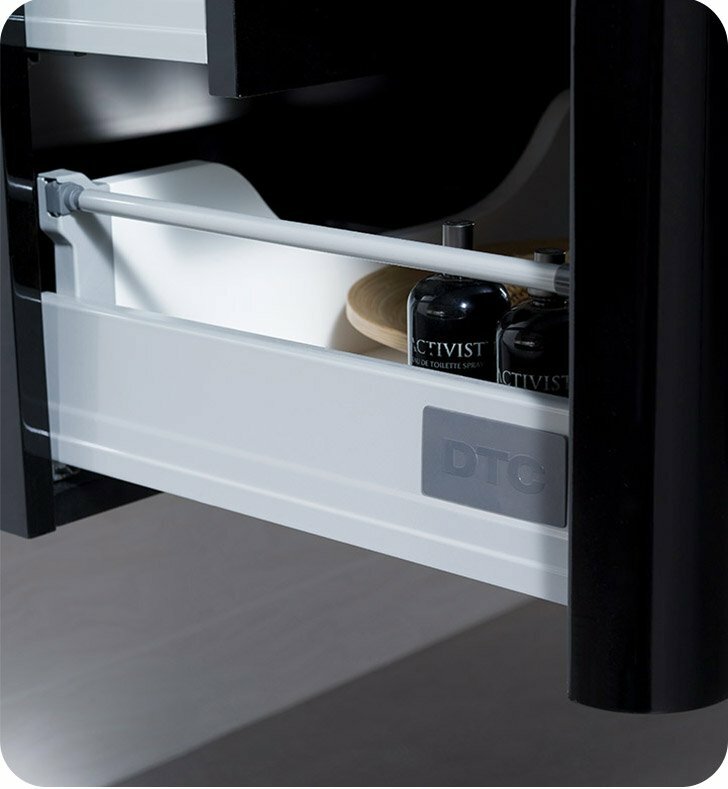 A slow-closing hinge and sleek handle make it easy to open and close. 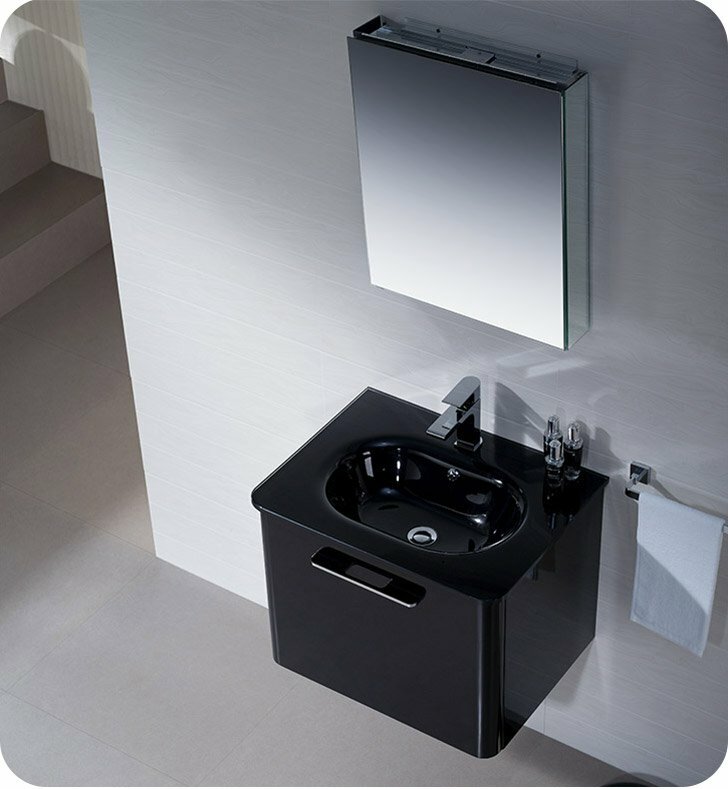 A high gloss black finish pairs beautifully with a glass countertop and an optical glass sink and adds a polished look to this piece.